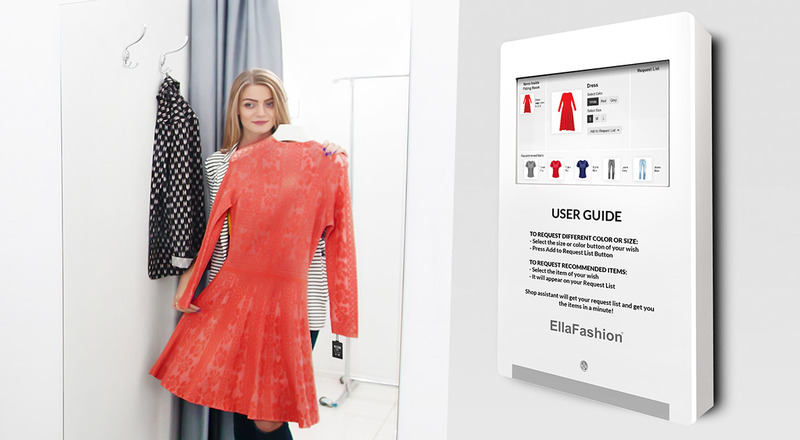 EllaFittingRoom is a smart fitting room that works together with MariElla labels price tags and systems. It helps customers try and buy more, and the efficient anti-theft features help you achieve minimum shrinkage. With the EllaFittingRoom Solution enabled, the customer can easily request different sizes, colors or different garments via a tablet. 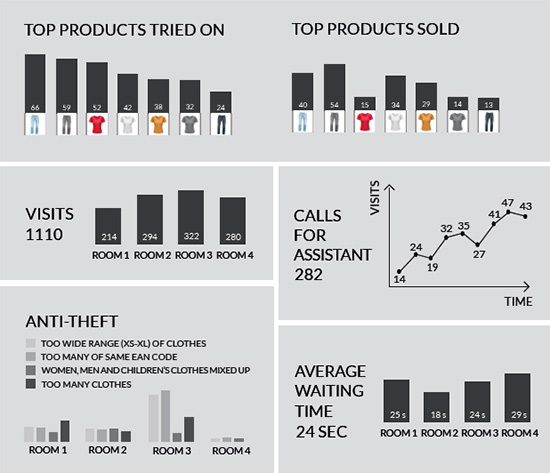 EllaFittingRoom solution calculates garments (i.e. EllaFashion price labels) arriving and leaving the fitting rooms continously and reports all kinds of unusual behaviour. Order different sizes, colours or products to the Fitting Room via a touch screen. The request is sent to a shop assistant’s mobile. With the anti-theft feature, 40% less shrinkage. This makes EllaFittingRoom an efficient anti-theft system and leads to minimun shrinkage.